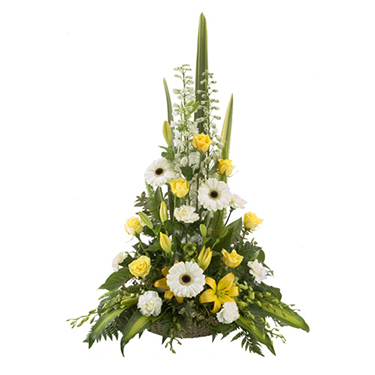 A compact posy of flowers beautifully arranged in a sisal collar and vase. 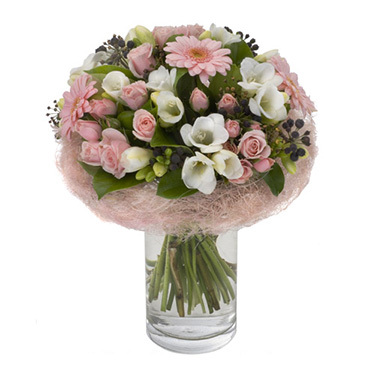 An abundance of stunningly arranged flowers full of fragrance and variety. 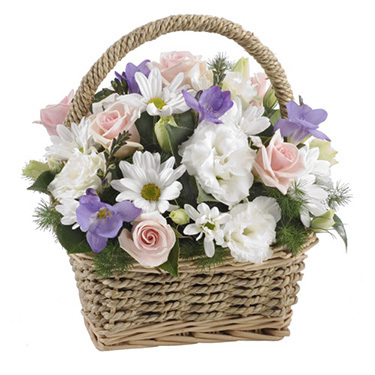 Mixed seasonal flowers in a basket. Available in a variety of colours.
" 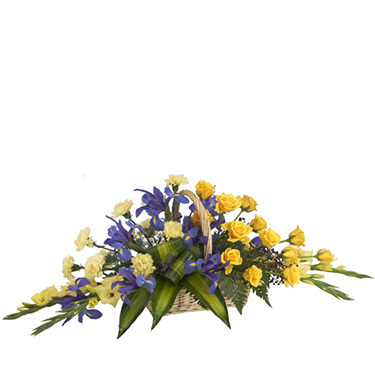 Elegant Flower Basket "
A modern basket arrangement available in a variety of colours. 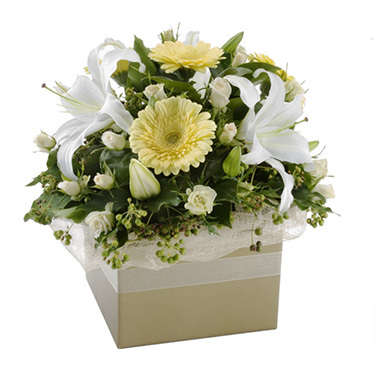 Truley elegant box arrangement of orientals, roses and gerberas.
" 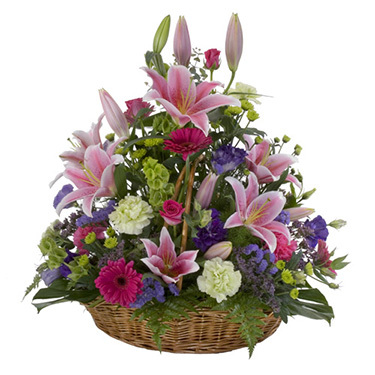 Traditional Flower Basket "
A traditional style basket arrangement with an abundance of flowers.